MASKerade: CASology 100 - CELEBRATE! 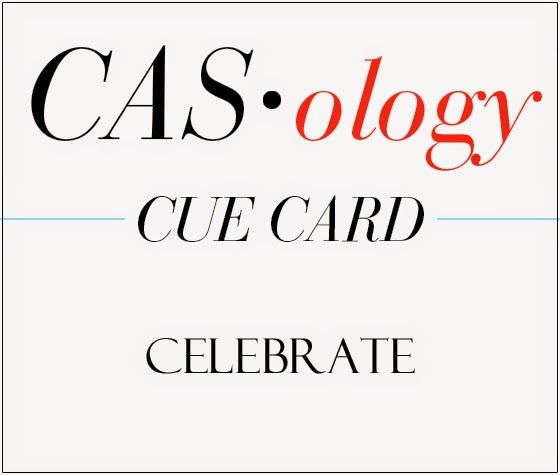 This week is our 100th Cue Card and we're ready to CELEBRATE! I hope you've been following along with our 10-day celebration! Melissa will announce the winner of the July Guest Designer spot today, but there's still lots of fun to come! Every day, we're highlighting one of the members of the DT and giving away lots of blog candy! Today's designer is May. Check out CASology for all the details! It's amazing to think that almost two years ago, Melissa had this fantastic idea for a new CAS challenge. It's even more amazing that she asked me to be a member of the DT - my first DT! CASology (and Melissa) will forever have a special place in my heart! For this card, I used the shape of my Stampin Up sentiment to create my focal image. I simply lined up 3 little dots from Simon Says Stamp's Lots of Dots set and then repeated them in rainbow colours. Now it's your turn to help us celebrate! Before you go, don't forget to check out the blogs of the other DT members for some more inspiration! 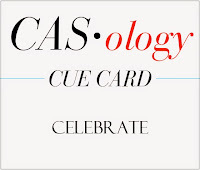 Happy 100th cue card day at CASology! 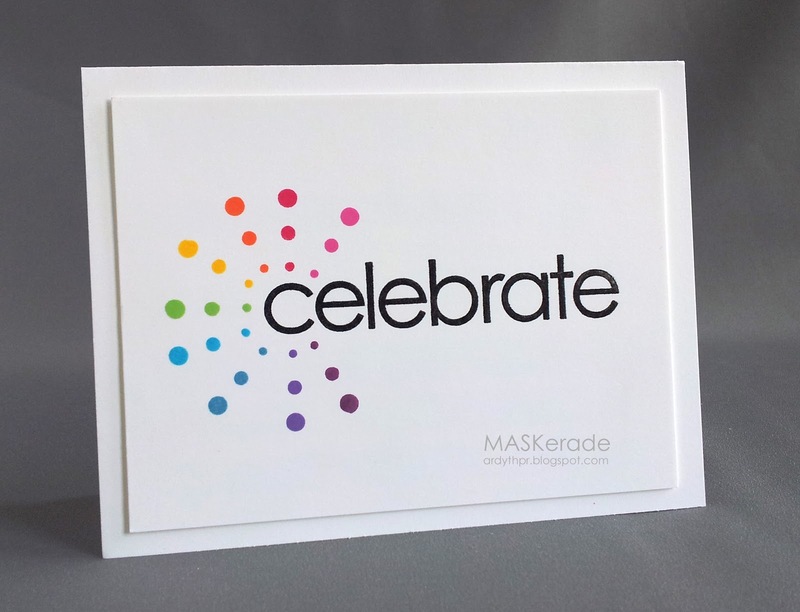 Your card is a classic, I love the splash of colors that radiate from the sentiment. Awesome! All I can say is - WOW! Fabulous design! Love that awesome pattern of rainbow goodness! Such a fun burst of color Ardyth! Wonderful Ardyth! Amazing how your little burst of color screams CELEBRATION. Love your always fabulous graphic design, Ardyth! Perfect for the celebration, too! So colourful and yet so simple....love it!! This is fabulous. So simple, but really dramatic. And, absolutely perfectly stamped. Totally wonderful!!!! I agree, you are just amazing, and your sweet girl paid me a visit today, made my day!!! This is stunning Ardyth, those dots in the rainbow of colours sets it right off! Love your card! I have both the dot set and sentiment, but could never do what you do. But, I'll keep trying. :-) Many thanks for sharing your talent! Love the radiating dots of colour! Superbly designed Ardyth. Simply wow. My new #1 favorite! Seriously, amazing!!! Love, love, love this card. Such a perfect CAS card. Pinned it right away on pinterest!